Back & Neck - Toms River, NJ: The Center for Orthopedics and Sports Medicine, P.A. A healthy back supports the body and lets it move freely. When all parts are healthy, your back can support you without pain. The bones of the neck are called cervical vertebrae. The stack together to form a bony column called the spine. The spinal cord runs through the center of the spinal column. Nerves branch off the spine to carry messages. Soft tissues, such as muscles, tendons and ligaments, surround and support the spine. Back ailments are a frequent problem within the general community. It can affect the young as much as it can affect the elderly in the population, while the demographics on particular types of back ailments may vary. Disks are cushions of tissue between the vertebrae that act as shock absorbers. Each disk has a spongy center, or nucleus. When the disk is squeezed too much, the nucleus can push on the outer ring and cause a bulge. The bulging disk can then press on spinal nerves and cause back and leg pain. With a ruptured disk (also called a herniated or slipped disk), the outer ring (annulus) breaks open and allows the soft nucleus to squeeze out. The nucleus then presses against nerves, causing pain. As disks and joints wear out with age, bone growths (spurs) form on the vertebrae. 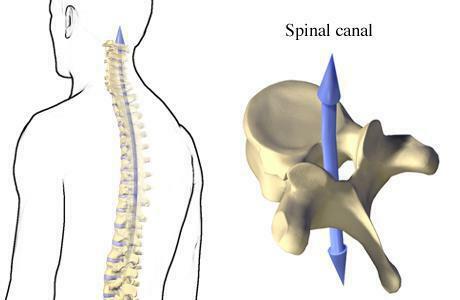 Bone spurs can irritate nerves and cause narrowing (stenosis) of the spinal canal. This can lead to back pain. There are many types of neck problems. Some problems are linked to injury, aging, or posture. Problems may be due to muscle strain or overuse of the neck. The soft tissue of the neck may be slightly inflamed. Whiplash occurs when muscles and ligaments in the neck are suddenly overstretched. This can be from an auto accident, sports injury, or fall. A simple action, such as a sneeze or a cough, can cause a disk to herniate (bulge). This puts pressure on the nerve. Over time, disks can also degenerate. Bulging disc treatments come in a variety of forms. Often, bulging disc treatments start off with conservative therapies because most bulging disc cases are mild and patients start to feel better after a few weeks. As time goes on, however, your physician could recommend a stronger or more invasive bulging disc treatment to address symptoms that are having an impact on your quality of life. Treatments can range from rest to exercises to anti-inflammatory medications, pain medications and cortisone injections. Most herniated discs heal on their own over time (one to six months). More than 90% of patients who have a herniated disc will improve within six months after nonsurgical treatment. For this reason, nonsurgical treatment is usually tried before surgery is considered. Nonsurgical treatment usually includes rest, medication to control pain and inflammation and exercises to reduce pain and strength the muscles. Surgery may become necessary in only a small number (less than 10 percent) of people who have herniated discs. Neck sprains, like other sprains, will usually heal gradually, given time and appropriate treatment. The patient may have to wear a soft collar around your neck to help support the head and relieve pressure on the ligaments so they have time to heal. Pain relievers such as aspirin or ibuprofen can help reduce the pain and any swelling. Muscle relaxants can help ease spasms. Most symptoms of neck sprain will go away in 4 to 6 weeks. However, severe injuries may take longer to heal completely.